Spring showers and warmer temps are coaxing summer produce from their earthen beds. Vibrant green, red and purple heads will soon start peeping from plots of rich, dark soil or dangling ripe and plump from twisting vines. But produce isn’t just undeniably beautiful during peak season. It’s also most flavorful and fresh because it doesn’t have to travel as far to reach your local grocery store or farmer’s market. For similar reasons, it can be more affordable and have a smaller carbon footprint. So to help you savor all of these delicious benefits, we created this handy summer produce guide that identifies what’s in season during June, July and August (exact peak times can vary by month). Heirloom tomatoes come in all different shapes, sizes and colors because hundreds of tomato varieties fall under this category - brandywine, yellow pear, black vernissage…But they all have one thing in common: they’re richer in flavor than your average tomato because they haven’t been hybridized. Each heirloom variety has its own unique flavor, which makes them fun to mix and match. 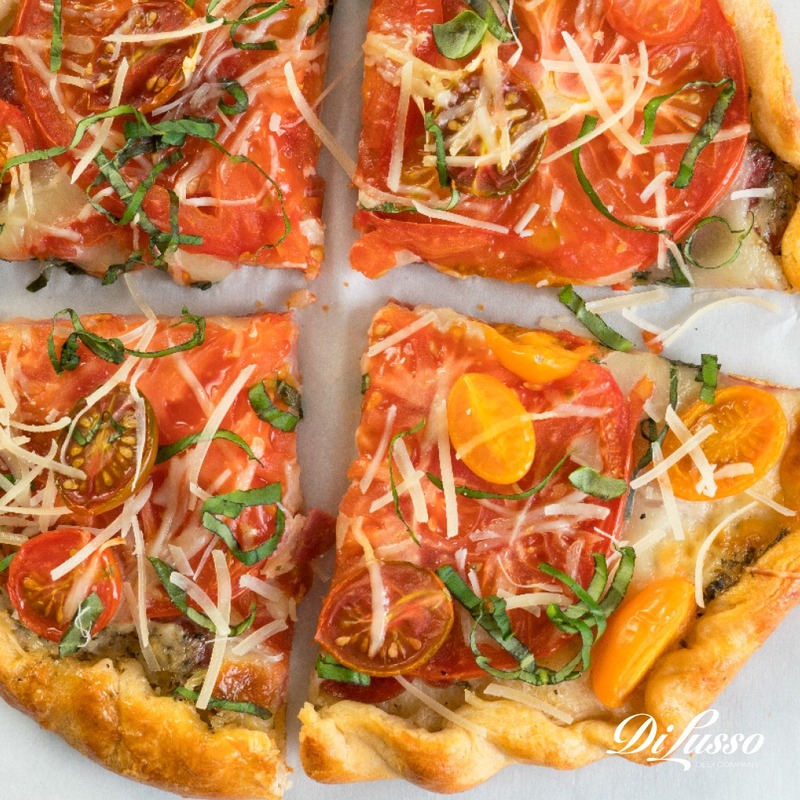 We’ve found many combos we love, but any mix tastes great on this Tomato, Salami & Mozzarella Galette. It’s the perfect combo of sweet, savory and tart. Selection: Choose tomatoes with bright, shiny skins. They should feel firm when squeezed gently. Storage: If you plan on eating your tomatoes within a few days, keep them at room temperature out of direct sunlight. To extend their life a few days, store in the refrigerator. This quirky plant is actually a fruit, and comes in many shapes (round to oval), sizes (2-12 inches) and colors (green to white). The dark purple, oblong variety that we usually think of is the Italian eggplant. Eggplants have a mild taste and easily take on other flavors because of their porous texture, which makes them excellent for frying. 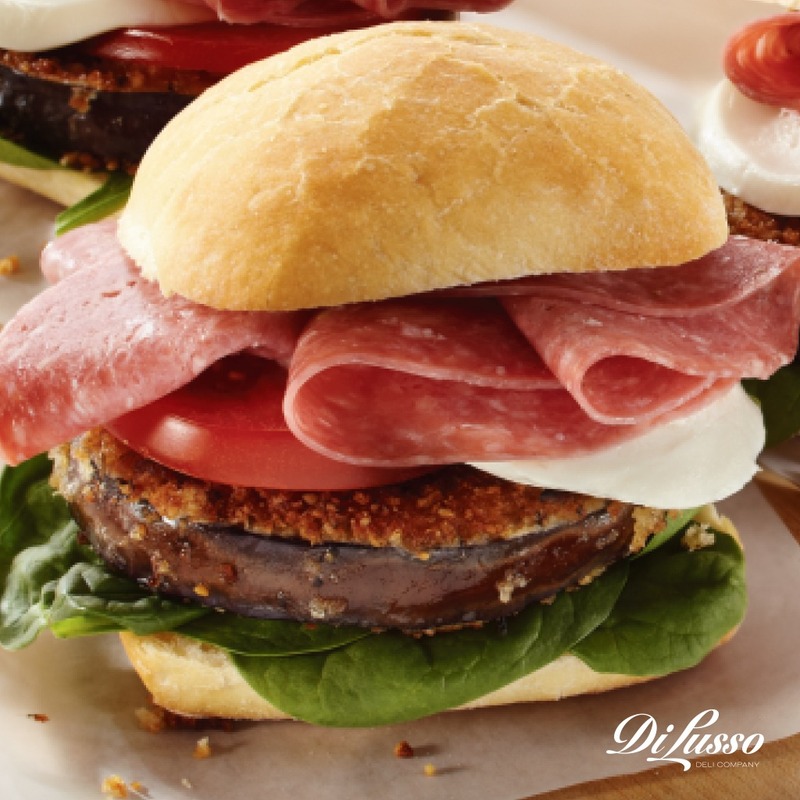 Take our Genoa Salami and Fried Eggplant Sandwich. Fried with panko and Parmesan, the eggplant absorbs the cheese’s nutty flavor and crisps up nicely. Baby spinach, tomato, mozzarella and genoa salami tack on even more layers of flavor. Selection: Ripe eggplants are firm and have shiny, taut skin. 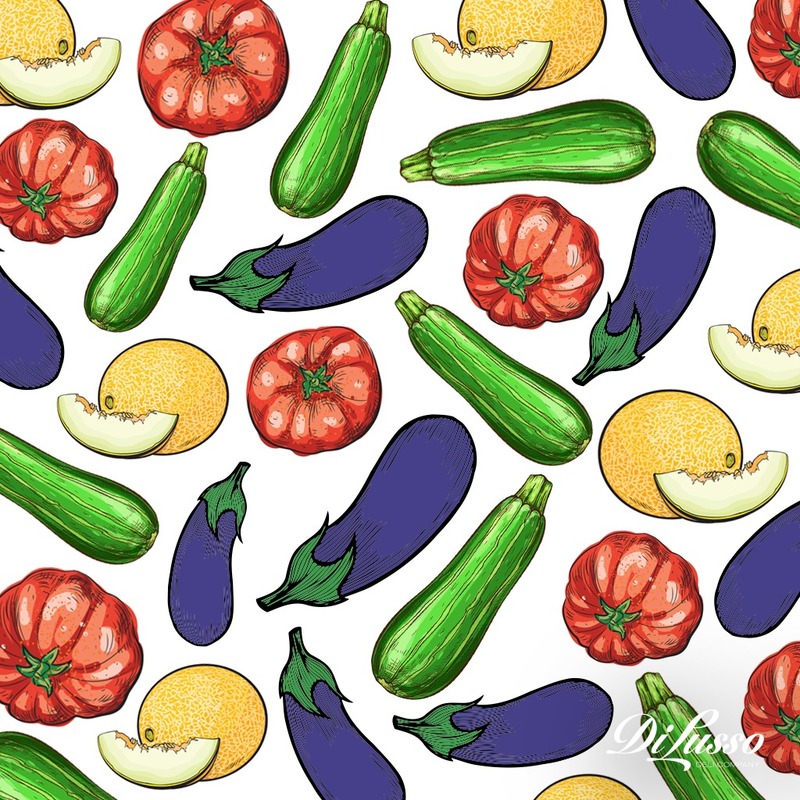 Look out for soft spots and skin dimples - these are signs that an eggplant is past its prime. Storage: Cool, dry place. If you don’t plan to eat it within a few days, keep in the fridge. This emerald-skinned delight has a mild taste and porous texture similar to the eggplant, but tends to be firmer, making it a great candidate for the oven. 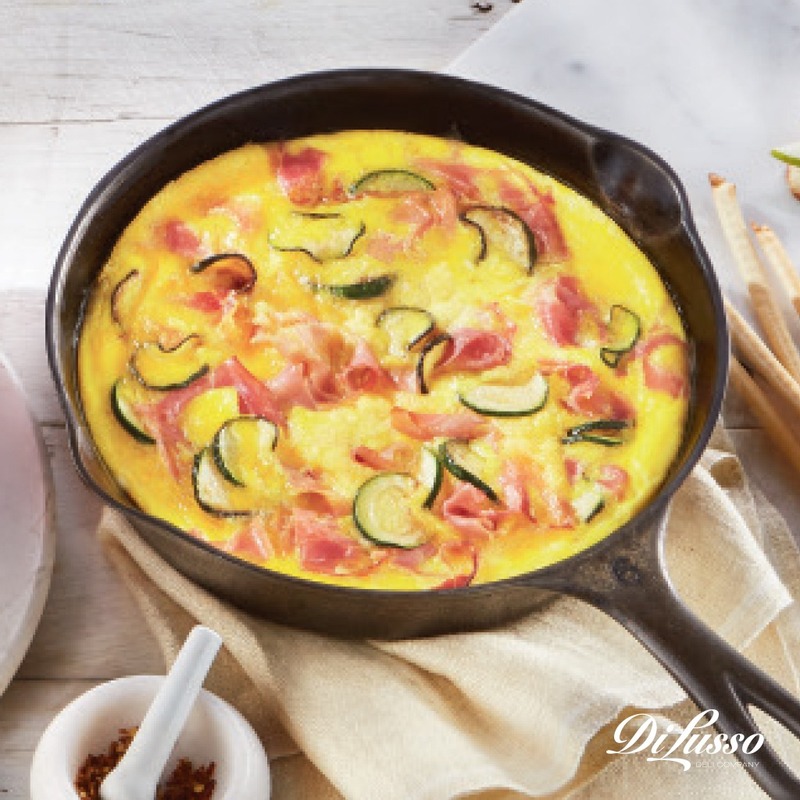 Baking helps soften the centers, like in our Prosciutto and Zucchini Frittata. The zucchini’s core relaxes as it absorbs moisture and flavor from thinly sliced prosciutto, mozzarella and fresh oregano. Selection: Look for zucchini that are 6-8 inches long, firm and uniformly green with glossy skin. The darker the skin, the richer the flavor. Storage: Wrapped in plastic in the crisper drawer of the fridge. Don’t wash until you’re ready to use. Distinctly sweet, cantaloupe pairs beautifully with contrasting flavors – savory, salty, peppery. 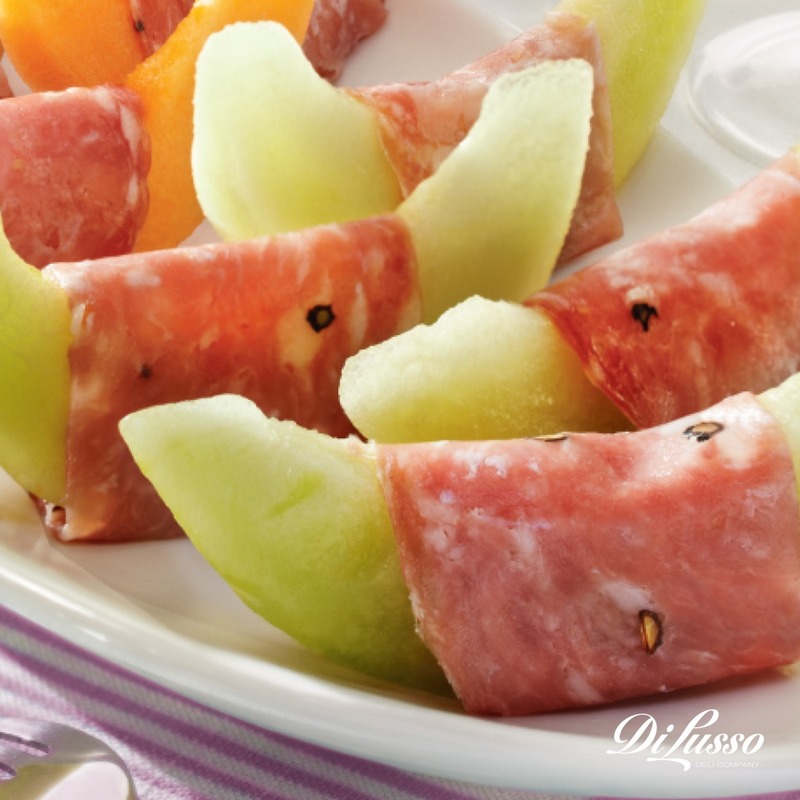 Cue our Sopressata-Wrapped Melon Slices. Robust and just a touch spicy, sopressata balances out the intense sweetness. A perfectly refreshing snack for sultry summer days. But they’re not just delicious. These honeyed melons are chock full of nutrients. Just one serving of this succulent fruit has more than 100% of your daily value of Vitamin A and C. Not to mention a good amount of potassium. Selection: Ripe cantaloupe smell sweet with a musky undertone and feel heavy for their size. Storage: Let un-ripe cantaloupe it sit at room temp for a couple days. Put in a brown paper bag to speed up the process. Keep whole ripe cantaloupe in the fridge. If sliced, cover the cut edges and leave the seeds intact to prevent dry-out. Asian Cucumber Rolls with bell peppers, green onions, seasoned roast beef and more. Turkey Tortilla Crunch Wrap with tomatoes, black olives, honey mesquite turkey breast and pepper jack. Southwest Mesquite Chicken Salad with roasted corn, mesquite style chicken breast and Chipotle ranch dressing. Balsamic Strawberry and Turkey Crostini on sourdough baguette slices with cream cheese and chives.